Wonder Woman actress Gal Gadot has announced her role in the upcoming Disney movie Wreck-It Ralph 2. The Israeli born actress shared the news on her Instagram Friday saying, "I’m so excited to finally announce that I am playing a character named Shank in Disney’s #RalphBreaksTheInternet hitting theaters this November! Such an amazing experience to be a part of this project with such great creators and cast! Welcome to Slaughter Race!" 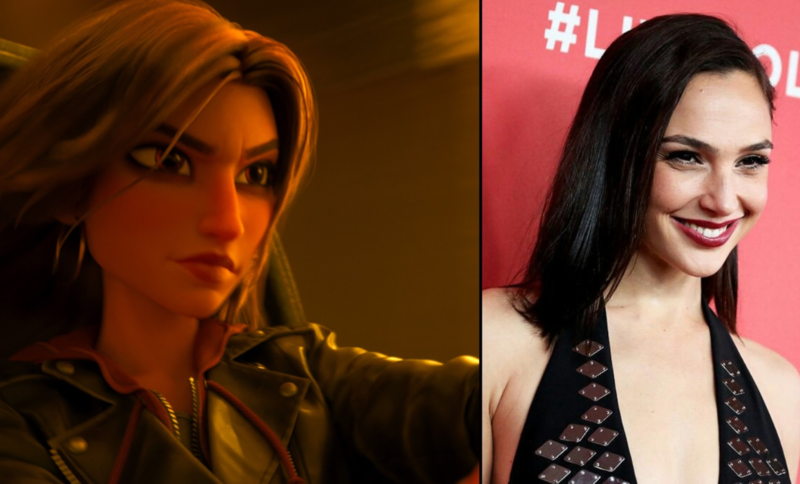 Gadot also shared a short preview of her role in the new animated sequel and we get a look at what her character "Shank" will be doing. The clip shows Gadot's character Shank taking part in an intimidating race called the Slaughter Race and she looks surprisingly similar to her real-life counterpart. Fans were happy at the reveal which came as a surprise and expressed their excitement in the comments. In a recent press statement, Gadot echoed the sentiment in her Instagram post saying, "Shank is amazing at driving cars and has this bad-girl vibe to her. But as the movie goes on you realize how fun, wise, and warm she really is on the inside, which is what I like most about her." The animated film is a sequel to Disney's 2012 hit Wreck-It Ralph and is set to hit theaters November 21.